The Veco Corruption Scandal. Who’s Next? New information and new names have surfaced in the Veco corruption scandal, that has been rocking Alaska’s political world for the past two years. Bill Allen, former CEO of Veco Corp. made a deal to trade all the dirt in exchange for immunity for his son Mark, and others relatives involved in the scandal. He had lots to tell. Former lawmakers are in prison, and more are on the way. The biggest fish ensnared in the net so far, of course, has been Senior Senator Ted Stevens, now convicted on seven felony counts. But the FBI isn’t finished yet. Newly filed court documents outline the extent of Allen’s initial revelations to the FBI, including his interactions with public figures that haven’t previously been reported — and who haven’t been charged. In his first interview, the same day he learned of the investigation, Allen told the FBI about financial favors sought by and given to politicians. Land deals were made, lawyers were hired, gas tanks were filled, floors were refinished, cash exchanged hands, pigs were roasted. The new documents — summaries of Allen’s initial interview with the FBI and a subsequent interview — were filed earlier this month during the trial of U.S. Sen. Ted Stevens in Washington, D.C. The summaries were attached to motions filed by Stevens’ lawyers. The summaries recount what Allen told investigators, and make no attempt to verify his assertions. The first interview occurred on Aug. 30, 2006, after agents brought Allen into FBI headquarters in downtown Anchorage and he agreed to cooperate. The broad, multi-faceted investigation into Alaska corruption wouldn’t become public knowledge until the next day, when federal agents swarmed legislative offices with search warrants. The FBI had been monitoring Allen’s phone calls for months. Allen pleaded guilty to bribery and conspiracy in May 2007. One of the conclusions reached by Allen, was that Rep. Don Young, who is currently running for re-election against Democratic challenger Ethan Berkowitz, “couldn’t be bought.” Interesting, considering that after the investigation of Allen began, Young tried to reimburse Allen for more than $37,000 in pig roast expenses for Youn’s annual fundraiser. Yes, folks, the King of Pork had an annual pig roast fundraiser, paid for by an oil service company. Perhaps they should have hired a skywriter to surmount the event with the words “INVESTIGATE ME!” When Allen didn’t cash this belated reimbursement check, Young sent it directly to the U.S. Treasury. Then he got out a “wet wipe” and tried to get all that pig money off his hands. Don Young has spent well over a million dollars in campaign money on legal fees….and he hasn’t even been indicted yet. Bill Allen told Ben Stevens (president of the State Senate at the time), when he needed money, to bill Veco $10,000 a month. Stevens stopped sending invoices after his Senate offices were raided. Go figure. Think of all this as “scenes from next week” in the never-ending saga of Alaska political corruption. Mike Wooten, the trooper in Troopergate who has a list of offensive deeds, but was axed by whom Palin wanted to axe for what many feel is personal revenge. Stephen Branchflower, the rock solid non-partisan investigator, and Thomas Van Flein, his nemesis and the private attorney now representing Palin. Palin’s new private attorney. And the whole supporting cast of children, children’s boyfriends, extended family, ex-coworkers, the almost fired librarian saved by the outraged masses at the last minute*, the fired police chief, and of course, Palin herself – the lip-sticked pit bull moose-skinning gun-toting mother of 5 (or 4 say some), who either rose like a star, or flimflammed her way to the top…depending who you ask. But, yes, there is a whole political landscape outside the governor’s little world. There is big news developing with two of those characters who haven’t been discussed much lately – Don Young, and Sean Parnell. 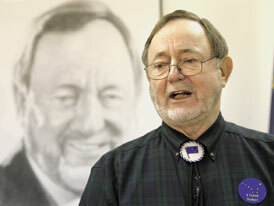 Don Young. That’s him up there standing in front of the giant portrait of himself, wearing an Alaska state flag bolo tie. When people who don’t know about Don Young ask about Don Young, they are met with one of three reactions: the eye roll, the head shake/chuckle combination, or an expletive. It never fails. He is absolutely indescribable, but I’ll try. He is a cocky, loud mouthed, angst-ridden, bloviating, jaw-dropping bully. He looooves pork, and people that love pork, love him. He’s a porketarian of the highest order. His annual fundraiser is even a pig roast and he’s proud of it. The grill at the event is usually a $30,000 barbeque donated for the event by Veco corp, the now defunct oil services company whose president and vp have plead guilty to felony counts of bribery and agreed to dish the dirt on what feels like half the Republican politicians in Alaska…and one Democrat just for the heck of it. Many are either on their way, or already in prison. Don Young himself is currently under investigation by the FBI, and has spent more than a million dollars from his campaign fund on lawyers and hasn’t even been indicted yet. All of this does not keep Alaskans from voting for him. He’s been holding Alaska’s lone seat in the House of Representatives since 1973, and most Alaskans just look upon him as an inevitability, like snow. He just keeps coming back, no matter what you do. And besides, we’ll overlook a lot, as long as we get our pork. The last time Don Young was up for reelection, the Democratic challenger (a woman, and Alaska native) Diane Benson got 40% of the vote. While this may not sound like much in other elections, 40% against Don Young with a progressive female candidate on the ballot was huge. This proved that Young was vulnerable. Smelling blood in the water, hoards of lower level politicians began circling the wounded bloviator. This time around, he may go down. State legislator Ethan Berkowitz, a rising Democratic star, stand a very good chance of unseating him in the upcoming election. Progressive Alaskans are doing the happy dance all over the state. For them, it is a dream come true. But…there’s one more hurdle to overcome. The hurdle is named Sean Parnell. Sean Parnell is what many like to call a ‘Palin-bot’. He shares Palin’s idealogy, and is “supportive” of her administration. Translated, this means whatever she says goes, and he doesn’t argue. Critics say he’s an empty suit and an empty head. He also doesn’t like to show up at debates, or give interviews…too uncomfortable (sound familiar?). BUT, he has Sarah Palin’s ‘full support’, which is enough for many in the state. Berkowitz doesn’t fare as well against Parnell in the polling, and it might be a tight race if that was the match-up in November. Parnell might very well swoop into office exactly like Palin, by getting the anyone-but-the-incumbent-as-long-as-I-can-still-vote-Republican vote. That’s a big slice of the pie up here. I went down to Convention Central at the Egan Center in Anchorage on primary night, just to watch the returns. And, as many predicted, the race of the night turned out to be Young vs. Parnell. We all bit our nails, drank $8 beers at the bar in the corner, chomped peanuts and watched the big board. At times there were only four votes separating the two candidates. Progressives stopped doing the happy dance and started worrying. Many Democrats and independents I know voted for Young, simply to assure that he would stay in the race long enough to be taken down by Berkowitz. (The Alaskan version of Rush Limbaugh’s operation Chaos, urging Republicans to cross over and vote for Hillary). They will be happy they did. At the end of the night, only about 150 votes separated the two candidates, with Young holding a razor thin lead over Parnell, and hanging on by his fingernails. Then the absentee voting began. There were 25,000 votes to be counted. The result? After more nail-biting ups and downs and the Division of Elections working into the night, Young maintains his lead by a scant 239 votes. With still more absentee ballots to be counted from overseas, this is about as close as it gets. The last of the absentee ballots will be rounded up by Wednesday, and it’s anyone’s guess. There will likely be a recount. Oh, and did I forget to mention that the Division of Elections is under the purvue of none other than…the Lt. Governor, Sean Parnell? Oh, it’s true. Who said life beyond Palin would be boring? Now that you’ve welcomed a new Alaskan eccentric into your political world, please sit back and enjoy this little homage to Don Young from TPM Muckraker who refers to Young as a “one man mud wrestling match”. Enjoy. If you only fill in one of those little ovals, let it be Yes on 3. Regardless of your political affiliation, this should matter to you. If you still need convincing, check out the videos on the Clean Elections website. They include famous Alaskans such as Walter Hickel, Vic Fischer and Arlis Sturgulewski, first time voters, political candidates and ordinary voters who understand that a Yes vote on Ballot Measure 3 is the most important vote they will cast in the next 20 years. More Preemptive Sleuthing – This Time By Stevens. It wouldn’t surprise me in the least if more stuff like this doesn’t come to light. You can fit a LOT in 67,000 pieces of paper, plus audio and video. And judges tend not to like that sort of thing. Stevens’ attorneys after requesting a speedy trial, are already singing the blues because now they don’t have time to review all the evidence and prepare and adequate defense in time for the speedy trial they requested. What’s that old saying? Be careful what you wish for. Comments : Comments Off on More Preemptive Sleuthing – This Time By Stevens. Stevens Trial “Fast But Fair”…Must Mean It’s Going to D.C.
Today U.S. District Court Judge Emmett Sullivan, who is overseeing the Ted Stevens case said “It’s going to be fair. Let me emphasize that. Iit’s going to be fast, but it’s going to be fair.” My take on that? OK, Ted…you’ll get your special fast-track September 24th trial date, but ain’t no way it’s moving to Alaska. 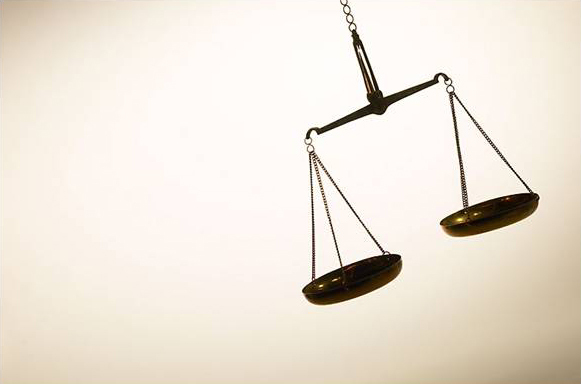 Despite the fact that there is really no possibility of a fair trial in Alaska, I feel a little pang. What a crazy circus THAT would be! Popcorn worthy for sure. But I think we’ll have to settle for observing from afar. “Not some extreme felony”? So…it’s just a little teensy-weensy felony? An itty-bitty felony. No biggie. We can just overlook it because after all, look what he’s done for the state, he’s a World War II vet, he’s dedicated his life to serving the people, he’s really old, he’s given us the airport…we’ve heard it all before. And besides, just because someone gives you something for free that’s worth $250,000 that you really want, doesn’t necessarily make it a ‘gift’. It could be….er….a coincidence, or a present ummm….spontaneous good deed? Watching the thought pattern of the parade of indicted Alaskan Republicans is really amazing. Who knew there were so many different brands of denial? Meanwhile, back in the real world, federal prosecutors turned over to Stevens’ attorneys a big fat pile of materials including both video footage, and audio recordings from someone who agreed to wear a wire. This oughta get really interesting really soon. 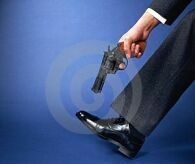 Stevens Shoots Self in Foot. ‘Keep it Up,’ Think Dems. It’s not like he’s got anything to worry about in the primary. The most recent post-indictment poll indicated there’s really no competition. So why the effort to gather the troops and get that front page story and photos on the Anchorage Daily News? Seems to me like the more balloons and confetti, the less the chances of Stevens getting his way with the trial relocation. Not that I’m complaining. Just felt a need to state the obvious. Ted Stevens Guilty? Not Guilty? We Don’t Care. Most people who commit a crime in Alaska plead to have the trial moved out of state because they know that the local jury will be biased. After all, jurors live here, and they have felt the crime firsthand through the media, by knowing people who were affected, by water cooler gossip,…by osmosis. It’s simply impossible, they claim, for potential jurors to be impartial and give the suspect a fair trial. And yet Stevens wants his case moved TO Alaska. He wants it close to home. Why? Because in this case, not having fairness works to his advantage. Because he knows that Alaskans have been bought. 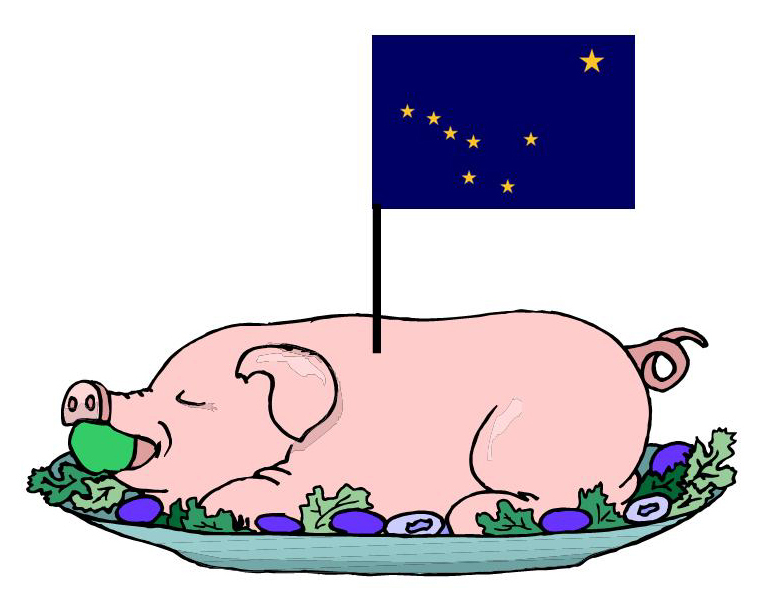 If you’ve been elected to office, the majority of Alaskans don’t care what you do as long as you bring home the pork. We will throw the law, the constitution, our integrity and anything else under the bus if we feel like we’ve gotten free money out of it. Money we deserve, money we don’t deserve….whatever. If it’s green, our integrity is up for sale. It’s ironic, isn’t it? For a state that claims so many ‘conservatives’, how is it that they are so eager to take Federal money, take the permanent fund check, take all the pork that can be heaped on a plate and ask for seconds. Isn’t that what conservatives say about liberals? That all they want is free stuff from the government? Someone explain this to me. If we give Ted Stevens a pass on 7 felony counts, and re-elect him we advertise loud and clear the fact that we prostitute ourselves for pork. We don’t care if Stevens got bought by Veco, because we’ve been bought by Stevens. We walk through the shiny granite-covered Ted Stevens International Airport and we feel so darned important. Probably just like Ted feels when he hangs out on the wraparound deck, and fires up that Viking barbeque grill he got from Veco. Here we stand with our collective hand out like Vic Kohring sniveling and groveling to the Federal Government. We’re all so busy scratching each others backs, we simply don’t care about ethics….which is exactly why this state is in the condition it’s in, and why we need the FBI to shovel us out of our own dung heap. It has been said that in life, any situation, whatever form it takes, exists only because the circumstances were perfect for bringing that situation about. What does that say about the political system in Alaska? That it is structured perfectly to bring about corruption, so it has. That is why voting for Clean Elections (Ballot Measure 3, now renamed Bill Providing for Public Funding in Campaigns) is a vote equal to or greater in importance than a vote for any one candidate. The system needs to be voted out, or we are doomed to repeat this cycle until we learn the lesson. We have no right to be disgusted or disappointed when we see the string of felons streaming out of our state government and into federal prison, because we have gotten exactly the government we deserve. We have been bought off to look the other way. Sound familiar? We’ll find out whether the trial moves to Alaska on August 19th. I maintain enough faith in the system to think that there’s no way it will be allowed to happen. I hope I’m right.